For the hard of hearing or visually impaired, everyday tasks such as using a telephone can become a constant struggle due to low volumes and small buttons. The Amplicomms BigTel 1200 Big Button Amplified Cordless Telephone has been designed with these difficulties in mind, offering a cordless telephone with adjustable volume and larger buttons for easier operation. The BigTel 1200 is an ideal telephone for anybody suffering from hearing difficulties, as it features various volume-adjustable settings. The receiver volume can be increased up to 30dB. This will help improve the quality of telephone conversations by ensuring that the person on the other end can be clearly heard. This will be particularly important if sensitive information or medical advice is being delivered, as it minimises the risk of the information being misheard. The ringer volume can also be adjusted up to 80dB. This is beneficial for anybody who has difficulty hearing the phone when it rings. The addition of a mute button ensures that the phone will not disturb the user when it is activated, and the hearing aid compatibility means the conversation can be transmitted directly to the hearing aid for more efficient listening. 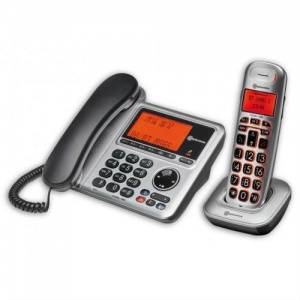 The larger button size on the BigTel 1200 is ideal for those with visual impairments. The keypad also features a backlight to illuminate the buttons, making them easier to read, thus reducing the risk of telephone numbers being incorrectly dialled. This larger size is also suitable for anybody with reduced dexterity as the larger buttons are easier to manage than their smaller, traditional counterparts. The additional handsfree function will also reduce the need to hold onto the phone during use. 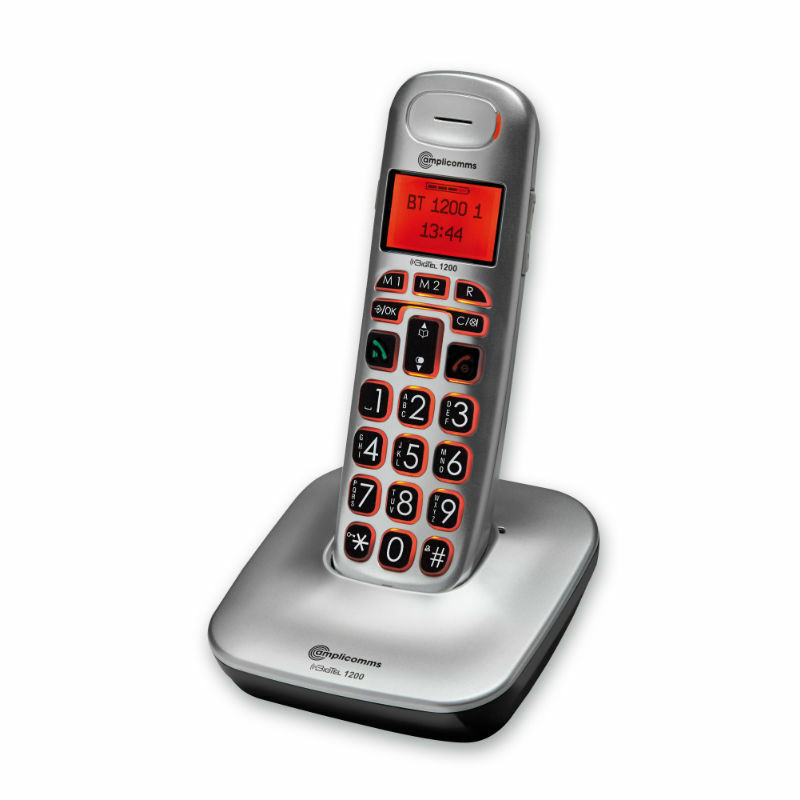 The telephone is fitted with an LCD backlit large display screen. The display menu is available in six languages for increased usability, and enables dot-matrix text to be read clearly and easily. The BigTel 1200 is a practical solution for anybody suffering from memory loss. It features a redial button for the last fifteen numbers, which reduces the need for the same numbers to be repeatedly entered in succession. The built-in phonebook will also help store up to one hundred numbers within the handset for convenient dialling. The user also has the ability to programme two speed-dial numbers of their choosing. The buttons are labelled 'M1' and 'M2', and provide practical options for programming frequently dialled numbers such as family members or carers.